Studio finely and functionally furnished, located in a manor house of 1800 completely renovated, with private park. The silence and privacy of the place are its strengths, within a breathtaking view over the city although it is a few minutes from the center of Turin. It can accessed from the driveway through an old wrought iron gate that leads into the private park. From a dedicated entrance floor you can enter through an elevator and a final flight of stairs. Our Guests can use freely a romantic patio surrounded by greenery of the centennial park. Visitors driving a car can easily find parking just in front of the House. The car isn't necessary because the public bus stop at 50 meters from the house entrance. The studio hasn't a kitchen, but Guests can have their meals. We provide a Fridge, Microwave owen, tools. A Breakfast room service is available at extra fee of € 5,00 per day. We are two friends and former co-workers who share many passions and interests. We thought we'd put them in common to meet new people and offer hospitality of prestige in the city we love. The House is a Manor Building of end of XIX century. As few Properties, has a gorgeous private park with a breath take view on the City of Turin and Alps. Silence and privacy are a must of this unique location. Guests not driving a car can easily get public bus to city center: the stop is just few meters from the house. Appartamentino in una splendida villa molto vicina al centro di Torino. Molto gentili e disponibili il proprietario ed i custodi! Veramente e sinceramente consigliato a chiunque! 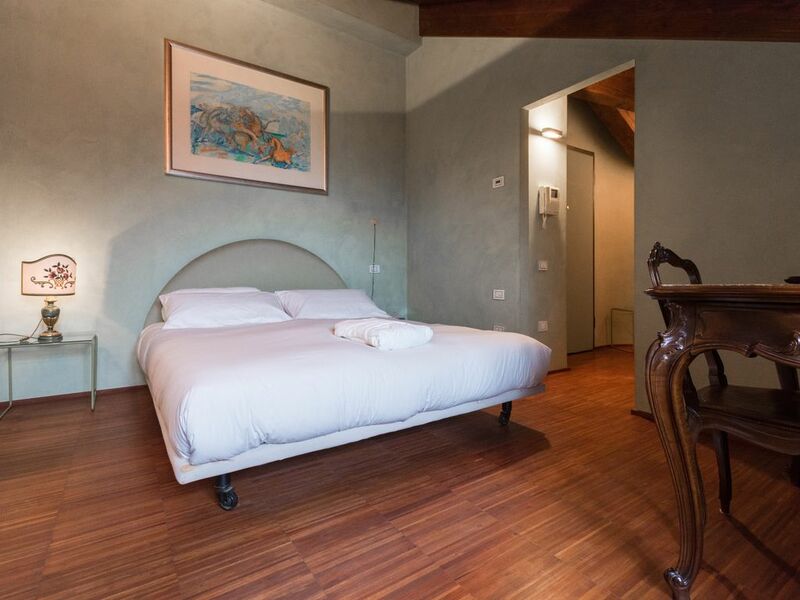 The house is located at the foothill of Turin, probably the most elegant and quiet district of Turin. The area around Piazza Gran Madre di Dio is full of cozy restaurant, bakery, elegant boutique, cafes, like a small village into the City. Just crossing the Bridge on Po river you will be in the City Centre ( Piazza Vittorio Veneto) with all Museums and Tourist's attraction.